The disaster in Bangladesh has obviously got people thinking about the provenance of their clothing like never before. No-one wants to know that the t-shirt in their cupboard has been indirectly responsible for death and suffering. So the question is, how do you make sure that your clothing is ethically secure? Well, the simple answer is that it's not very simple. Most big-brand clothing lines are produced using a global supply chain. You have to be sure that the workers that produce the yarn and fixings, that weave the fabric, that put the clothes together, that transport them to the stores, are all fairly treated and not subject to abuse. That's a big, tough call. The simple fact is that it's very difficult to properly audit a piece of modern clothing. Let's put it like this: Greenpeace have pulled their t-shirt range from sale, as they simply couldn't be sure that the clothes were coming from responsible sources. WRAP certification and SEDEX compliance are the only two properly attributable standards that make the grade as a FairTrade label for the clothing industry, and they're notoriously tough to achieve. 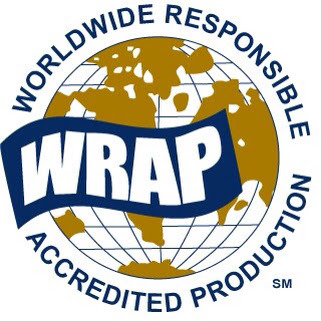 Often, WRAP certification requires major changes to suppliers and manufacturing facilities. It's expensive and very hard work. Unless you're dead serious about your clothes line being properly, provably responsible, there's little incentive to put your company forward. But, as we're starting to see after the events of last week, something needs to change. Relying on local labour laws and the good word of factory owners simply isn't good enough. Customers are starting to ask the right questions about their clothes, and are willing to pay a bit more for ethical production. What's needed is tougher regulation, more insistance on compliance to a stringent global standard on responsible production, and transparency from the big brands on how they source and produce their clothing. Until then, there's every likeliehood that events like the Rana Plaza collapse are going to keep on happening. It's good to hear that the owner of the building has been found and arrested. But the conditions under which the workers who lost their lives work are endemic across Asia, and they won't change any time soon. It'll cost money to change that, which will have a knock-on effect on the price of clothes. But let's face it. Wouldn't you rather spend a bit more than worry about the real cost of the clothes on your back? Happy Earth Day from Pier32!